The Academy would like to congratulate 11th Grade Cadets, Keith L. Harmon and RahjaeBreanna King for being accepted into the Delaware College Scholars Program this summer. For 3 weeks, Cadets King and Harmon will attend a tuition-free, residential, college preparatory program held at St. Andrew’s School located in Middletown, Delaware. As rising juniors, they will begin an intense reading, writing and discussion-based curriculum, as well as focused SAT preparation. 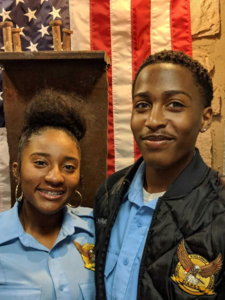 Cadets Harmon and King will be immersed in a college-like residential atmosphere and will learn about and visit different colleges and receive college mentorship.